Sleeping baby dragon is sculpted in intricate detail. Aged finish that brings out the texture of his scales. Perfect snoozing among the flowers in your garden, or under a bush near your front door. Measures 8 1/2″L x 5 1/2″W x 5″H. 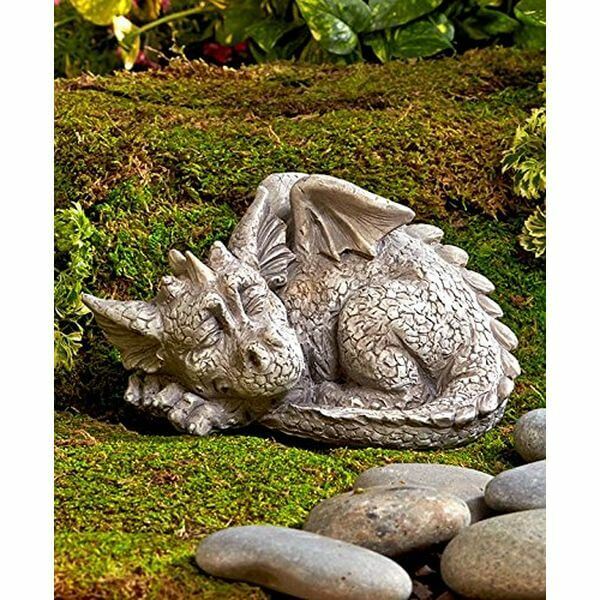 Turn your garden into a fantasy realm with the Mythical Sleeping Baby Dragon Garden Statue. This statue features a sleeping baby dragon made out of enduring resin material. It has been given an aged finish to show off the texture of the scales on its body. This happy couple will make a unique and sweet addition to your garden or porch. Statue features two affectionate dragons, with one giving the other a smooch. Measures 9 3/4″L x 6 1/2″W x 7 1/2″H. 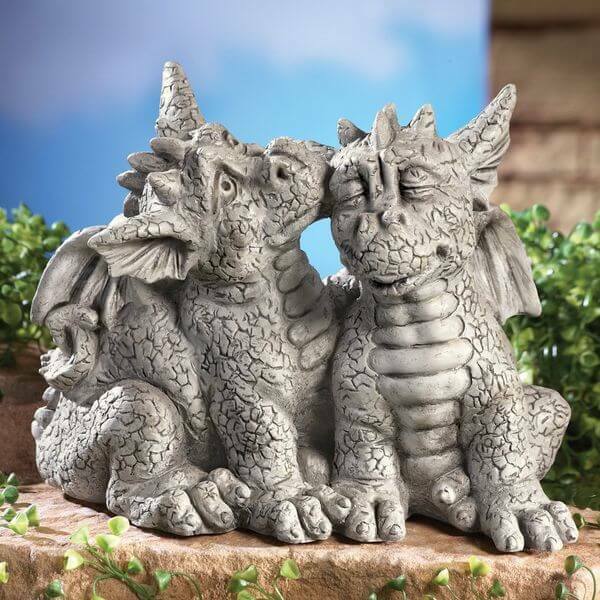 Make your garden a cozier place to be with the Dragons in Love Garden Statue. This statue features two young dragons, one kissing the other’s cheek. These statues are made out of durable resin and have been hand painted to ensure a beautiful, long-lasting decoration. You can’t help but love its cute faces! 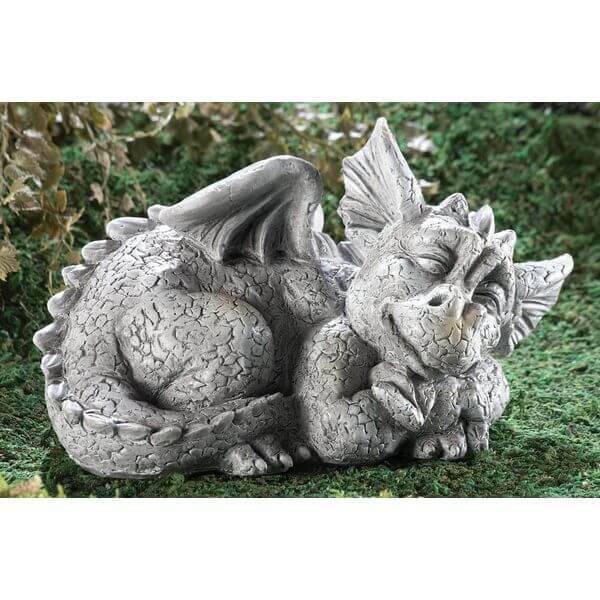 Let the Dragon Garden Statue slumber peacefully in your garden and keep your plants safe. This statue is made out of ultra durable cold cast ceramic that is sure to last for years to come. It measures 8-3/4 inches in width by 5-3/8 inches in depth by 8-3/4 inches in height. 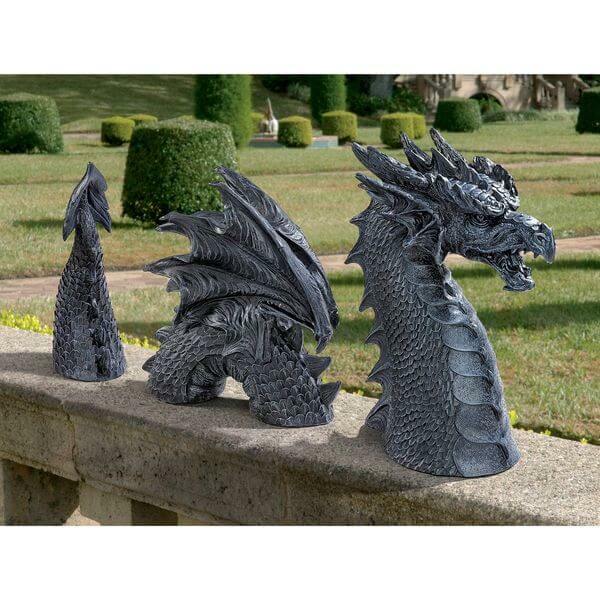 Add depth and detail to your garden bench with the Design Toscano Dragon of Falkenberg Castle Moat Lawn Statue. This statue comes in three parts and offers the appearance of a dragon flying through your garden. It is made out of crushed stone that has been bonded with resin. 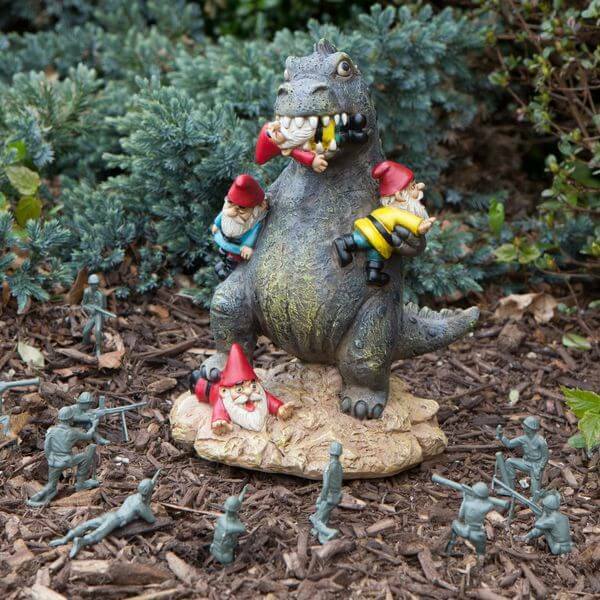 Add whimsy to your garden with the BigMouth Inc The Great Garden Gnome Massacre. This fun statue features the image of a dragon with a gnome in his mouth, two in his hands and one under his feet. It is made out of durable, weatherproof resin. 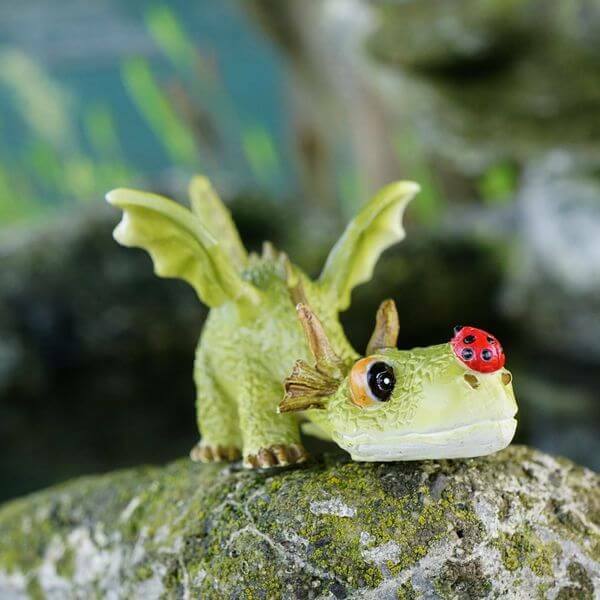 Playful and colorful, the Mini Dragon Playing with Ladybug Garden Statue is a whimsical addition to your garden. It features a dragon with a ladybug perched on its nose. This statue is made out of high quality designer resin and has been both hand sculpted and hand painted.